What is Onstream Web Conferencing? Onstream Media’s web conferencing products provide interactive tools, such as screen sharing, desktop sharing and document sharing, to allow participants to communicate, interact and share information. They are ideal for new-product launches, sales meetings, employee learning sessions and other situations where collaboration is necessary. Why use Onstream Web Conferencing? Presentations - Upload images and PowerPoint presentations. Shared applications - Share other participants’ programs as if they were running on your own computer. Whiteboard - Exchange free-form text and drawings with others during the meeting. Record Your Event - Extend the life of your event, which will be archived for future on-demand viewing. Chat - Text message all or specific individual participants. Roll Call - See who joined your conference; color code participants with our whiteboard annotations. Snapshot - Take a ""snapshot"" at any time. Annotated images can be referred to later. Desktop application sharing - Share an application (single program or window) on your computer or the entire desktop. Participants will see what you are doing in near real time, including your mouse movements and keyboard typing. One-click publishing of Microsoft® PowerPoint®,Word or Excel files - Flip ""slides"" easily for your participants, page through a document, or move through worksheets. Control passing - On the fly, promote any attendee to be the presenter, or allow any attendee to ""drive"" on your computer by controlling your mouse and keyboard. You can also remotely control an attendee's computer – with permission, of course.  Reservationless phone conferencing integration - Chairpeople and participants use the same entry codes for Web conferencing that they use for the phone conferencing. No advance reservation required - Start your web conference on the fly during a conference call, or e-mail an invitation in advance. Participants need just the URL and entry code. File transfers, slide annotations and more - Send individual participants – or the whole audience – any file on your computer or network during the conference. Annotate (mark-up) PowerPoint slides on-the-fly. Allow participants to "raise hands" for questions.